North Fremantle, Bicton and Nedlands are among the 12 Perth suburbs to have experienced house price growth this year after suffering declines last year. REIWA President Hayden Groves said 12 suburbs across the metro area had defied the declining trends experienced in the 12 months to June 2017, to record strong house price growth in the 12 months to June 2018. “It’s really pleasing house prices in these suburbs have recovered so well in just 12 months. All of the suburbs on the list have higher median house price values now than they did in 2016 just prior to the decline, which is positive news for sellers in these areas. “North Fremantle had the strongest rebound in price, with its median increasing 28.1 per cent to $1.23 million in 2018, after declining 0.8 per cent to $960,000 in 2017. “Bicton came in second, with a 17.6 per cent median house price increase this year after declining 6.5 per cent last year, while Nedlands, Kallaroo and West Leederville saw house prices lift by 15.5 per cent, 14.6 per cent and 13.4 per cent respectively in the 12 months to June 2018,” Mr Groves said. Helena Valley, City Beach, Claremont, Mosman Park, Winthrop, White Gum Valley and Leeming rounded out the 12.
reiwa.com analysis shows all suburbs on the list had a median house price above the Perth Metro median of $515,000 and seven of those suburbs had median house prices above $1 million. “Perth’s aspirational suburbs are really leading the way in the property market’s recovery. Last quarter there were more houses sales recorded in the $800,000 and above price range, which is a trend that also occurred during the December 2017 quarter. In addition, recent reiwa.com data also shows 11 per cent of houses sales in Perth now sell above $1 million, which is the highest proportion of million dollar sales Perth has seen,” Mr Groves said. “Another interesting observation is that nine of the 12 suburbs had faster average selling days than the Perth Metro region average of 66 days, with Nedlands (28 days), Claremont (40 days) and West Leederville (47 days) the standouts. Median house price data is for the 12 months to June 2018 versus the 12 months to June 2017. Filtered for suburbs with more than 28 sales. Sales above $1 million now account for 11 per cent of all house sales in the Perth Metro region. REIWA President Hayden Groves said there had been a steady increase in the proportion of sales above $1 million in Perth since 2012. “It’s interesting that the proportion of sales occurring above $1 million has increased during a time when the Perth property market and the WA economy have experienced a difficult few years. “In the year to June 2012, only seven per cent of house sales in the Perth Metro region were above $1 million, six years later this figure has grown to 11 per cent – the highest it’s ever been,” Mr Groves said. The five suburbs to record the most house sales above $1 million dollars in the year to June 2018 were Nedlands (95 sales), Cottesloe (93 sales), Floreat (89 sales), Claremont (77 sales) and Mosman Park (75 sales). “Buyers clearly recognise there is excellent opportunity in these aspirational suburbs to purchase high quality family homes at prices we are not likely to see again as the market recovers,” Mr Groves said. Data also shows the number of Perth suburbs with a median house price equal to or above $1 million has increased. “There are 37 suburbs across the metro area with a median house price at or exceeding $1 million, a notable increase on the 31 suburbs recorded at the same time last year,” Mr Groves said. Perth’s rental market produced mixed results in the June 2018 quarter, with stable dwelling rents, subdued leasing activity, declining listings and faster leasing times. REIWA President Hayden Groves said the June quarter’s mixed results were not unusual given Perth’s rental market was in a transitional phase. “Although the worst of the downturn appears to be behind us, it’s not uncommon to see results fluctuate as the market transitions into a recovery. “The change in seasons has also contributed to this quarter’s results, with the cooler weather impacting activity levels. We tend to see activity slow during the winter months before picking up again in spring,” Mr Groves said. Perth’s overall median rent price remained stable in the June quarter, holding at $350 per week for a fifth consecutive quarter. “Rent prices have been stable since the June 2017 quarter, which is pleasing. After experiencing prolonged periods of freefalling rent prices, the stability we’ve observed over the last 12 months is a welcome change and should provide landlords with confidence,” Mr Groves said. Although Perth’s overall rent was stable, reiwa.com analysis shows 102 suburbs across the metro area did experience median rent price growth. “The five best performing suburbs for rent price growth in the June quarter were Attadale (up 75.8 per cent to $580 per week), Jolimont (up 50.9 per cent to $423 per week), Burswood (up 33.3 per cent to $480 per week), Booragoon (up 28.4 per cent to $475 per week) and Hamersley (up 28.4 per cent to $430 per week),” Mr Groves said. There were 12,633 properties leased during the June 2018 quarter. Mr Groves said leasing activity had declined 10.4 per cent over the June quarter and was down 4.1 per cent compared to the June 2017 quarter. “The latest population figures for WA shows migration into the state has declined by five per cent, which has likely influenced leasing activity levels in Perth. The rental market feels the impact of changes in population first, with new migrants to the state relying on rental accommodation to set themselves up. “Tenants are also not moving as much as they were when prices were declining and there were good deals to be had. After 12 months of stable rent prices, lower activity levels suggest tenants are feeling confident rental prices have found a floor and therefore more inclined to stay put,” Mr Groves said. Despite the overall reduction in leasing activity, reiwa.com data shows there were 71 suburbs across the metro area which saw leasing activity improve. There were 8,293 properties for rent in Perth at the end of the June 2018 quarter. Mr Groves said this figure was 2.5 per cent lower than the March 2018 quarter figure and 22.9 per cent lower than the June 2017 quarter. “Rental listings in the metro area have declined significantly over the last 12 months, with far fewer properties available for rent this year compared to last. “A key driver for this improvement is the slowdown of new dwelling commencements. With less new properties coming onto the market, existing rental stock is being soaked up faster, putting downward pressure on listing volumes,” Mr Groves said. It took 46 days on average to find a tenant in the June quarter, which is two days faster than the March quarter. “It is also six days faster to lease a property than it was during last year’s June quarter, which is a notable improvement,” Mr Groves said. reiwa.com data shows Perth house sales were down in June, but 31 suburbs across the metro area defied this trend to record more sales in June than they did in May. REIWA President Hayden Groves said a further eight suburbs also saw sales volumes stabilise over the month. “While house sales activity in Perth decreased in June this is not unexpected with the onset of winter, but our analysis also shows a substantial number of suburbs saw sales volumes improve during the month. “Duncraig, Mosman Park, Waikiki, Dayton and Palmyra were the five best performing suburbs, with each recording significant improvements in the number of houses sold between May and June. “Other suburbs to perform well were Butler, Kelmscott, Tapping, Baldivis and Joondalup, which rounded out the top 10 in terms of sales volume,” Mr Groves said. reiwa.com data shows eight of the 10 best performing suburbs in June had median house prices below $550,000, which were traditionally areas with a lot of first home buyer activity. “Mosman Park was the only million dollar suburb to make the top 10 in June, with sales volumes in the suburb lifting back to normal levels in June after declining in May,” Mr Groves said. “Perth continues to present good opportunities for buyers, especially in the more affordable end of the market. “The latest reiwa.com data suggests suburbs in the $550,000 and below price bracket are seeing healthy activity levels, with first home buyers taking advantage of the conditions to secure their first property before prices inevitably rise again. uWhen it comes to winning big in real estate, many turn to property investment. But achieving success takes time and patience, with only a handful making it past their first investment. To ensure you don’t fall into the property trap talk to an expert and do research. Momentum Wealth Research Advisor Shaun Strickland said many investors see reports of unprecedented growth in one area and assume this must be the next ‘boom’ suburb. “If you are reading about a boom in the media, chances are it is already too late to be buying in the suburb. Instead, investors need to be identifying areas that are likely to outperform in the long-term, which is where the advice of a professional buyer’s agent could prove invaluable,” Mr Strickland said. The property market is always changing, and you will never know EVERYTHING there is to know about real estate. But, doing your homework nonetheless is essential and studying the suburb you wish to buy in will make it worth your while. Mr Strickland believes research is the cornerstone to a successful property investment. “Identifying high-performing properties requires analysis of demand and supply, knowledge of the local demographic, consistent market monitoring and awareness of other key growth factors,” he said. Another common mistake investors make is that they tend to only research properties within five kilometres of their current location. According to Momentum Wealth Finance Team Leader Caylum Merrick, many investors fall into the trap of not saving up a sufficient cash buffer once they’ve actually acquired a property, which could leave them in a disadvantaged position should unexpected scenarios arise such as property repairs, rises in interest rates or tenants leaving a property. Mr Merrick advises investors to set aside a cash buffer to cover unexpected costs for each property in their portfolio. “We also advise investors to work with an experienced property manager to understand any of the potential costs that could occur for their particular property,” he said. This is when more than one property is used as security for a loan or multiple loans. “Cross-collateralisation can significantly reduce an investor’s ability to borrow in the future, so it is especially important to seek the help of a mortgage specialist who fully understands their financial needs and long-term investment goals. “Choosing the right loan strategy from the start can significantly maximise an investor’s borrowing capacity and give them more flexibility moving forward,” Mr Merrick said. All property investors have one goal – to build a lucrative property portfolio. However getting there without a plan or goal will backfire. As the old saying goes, if you fail to plan you plan to fail. You need to have an end vision of where you want to end up and then follow a strategic plan to get there. With the Perth property market starting to show signs of recovery and stabilisation, interest will grow from property investors, meaning buyers need to act fast to secure their ideal property. An investment should be look at as a business decision. Making an ’emotional purchase’ is to be avoided at all costs. A decision driven by your heart can lead you to over-capitalise rather than prioritise the best outcome for your investment goals. Base your decision on facts, statistics and research. Seeking the advice of a professional can help you avoid making simple mistakes, and they can also play a vital role in helping investors identify opportunities to maximise rental returns. “Property investment experts can assist investors in identifying properties with the highest growth prospects that a single investor may not be able to discover or analyse on his or her own,” Mr Strickland said. It can be very daunting trying to handle all aspects of property investment on your own, especially if you have a portfolio of more than one or two properties. Momentum Wealth Asset Management Advisor Clare Christiansen said property managers play an important role not only in the day-to-day running of properties, but also in supporting an investor’s overall investment strategy and protecting their long-term wealth. “Property investment doesn’t stop at the acquisition of a property,” she said. Read more about why property managers are vital to a successful investment. What condition should the property be in at settlement? One of the most widely misunderstood elements of real estate is what condition a property should be in at settlement or possession. What does ‘buying as inspected’ really mean? In short, a property is sold “as inspected”. If there was dust on a ceiling fan when you first inspected before contracting to buy then the fan can be dusty at settlement. The same goes for a dirty oven, a blown light globe or a squeaky laundry door. If it was dirty, blown or squeaky at inspection before purchase then so it should be at settlement. Buyers will typically expect that the property is handed over to them spick n’ span and thankfully most house-proud sellers leave their homes in an appropriate condition when moving out, however legally there is no obligation for them to do so. What should you expect at settlement? If you’re buying a home, it’s smart to have a realistic expectation of what to expect at settlement. Unless otherwise specified in the contract, the seller is under no obligation to have the property professionally cleaned for settlement and it is surprising how few buyers ask that such a condition be included. Many modern contracts to purchase include provision for essential plumbing, gas and electrical components to be working at settlement. Hence, if at settlement the toilet cistern leaks then the seller ought to make good because the contract says so. It is trickier when, for example, a telephone jack doesn’t work at settlement. It is not strictly electrical but it is probably reasonable for a buyer to assume that it was functioning at inspection. This is partly because, caveat emptor (buyer beware) has all but disappeared according to some legal practitioners. The onus is probably on the seller to disclose (in this case) that the telephone jack didn’t work. My view is that buyers need to take reasonable steps to ensure the property they have bought will be presented to them in a condition they are satisfied with. This can be achieved by either contracting with the seller to guarantee it and/or being more thorough when inspecting the property in the first instance. Ask the agent if it’s ok to turn on taps, flush loos, flick switches, open and close doors, open the oven, turn on the dishwasher and so on before making an offer to purchase. Buyers ought to have a realistic expectation of what to expect at settlement when buying an established home and acknowledge that opinions of presentation are subjective. If you’re unsure about what to expect, it’s a good idea to speak with the agent selling the property about your concerns. The Federal Government has passed legislation that will require purchasers of new residential property sales to remit the GST directly to the Australian Taxation Office (ATO) as part of settlement. Announced as part of last year’s Federal Budget, this reform is designed to improve the integrity of GST on property transactions. 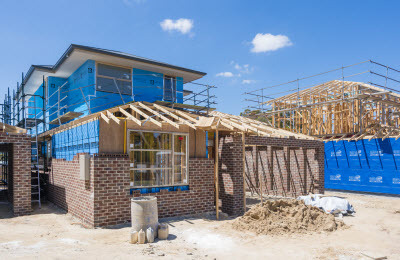 According to the ATO website, some developers were failing to remit the GST to the ATO despite having claimed GST credits on their construction costs. special transitional provisions are included for project delivery agreements. This change will take effect on 1 July 2018, however the Government have announced it will introduce a transitional arrangement to this budget measure, which will exclude contracts signed before 1 July 2018, as long as the transaction settles before 1 July 2020. For more information about this new legislation, visit ato.gov.au. Housing affordability has declined in all states and territories, according to a new report. The Real Estate Institute of Australia (REIA) have released the findings of its latest Housing Affordability Report, which found housing affordability declined in Western Australia in the December 2017 quarter. The national report, which is produced in partnership with Adelaide Bank, showed housing affordability had declined across all states and territories, and rental affordability had declined in every state and territory except for Western Australia and New South Wales. REIA President Malcolm Gunning said a coordinated and aligned approach by all three levels of Government were needed to address the housing affordability issue. “We need to address this with some urgency and reform the planning and approval process. We need all tiers of Government involved and implementing change. “REIA believes a first step in this is the appointment of a Minister of Property Services. This would also recognise the importance of the property sector as a driver of economic growth and employment. Property investment supported by historically low interest rates has been a significant contributor to growth in the Australian economy since 2013-14 as we transition away from a decade-long reliance on mining,” Mr Gunning said. There was a mixed bag of results across WA in the December 2017 quarter, with housing affordability worsening over the quarter but improving when compared to the December 2016 quarter. The report found the proportion of income required to meet loan repayments increased 1.5 per cent to 23.9 per cent in the three months to December 2017 and declined by 0.3 per cent decline compared to the December 2016 quarter. The number of first home buyers in WA decreased to 3,996 in the December 2017 quarter, a decrease of 9.8 per cent over the quarter but an increase of 4.9 per cent compared to the same time last year. Of all Australian first home buyers over the quarter, 12.9 per cent were from WA, while the proportion of first home buyers in the state’s owner-occupier market was 34 per cent. The average loan to first home buyers increased to $316,067, an increase of 4.1 per cent over the quarter but a decrease of 1.5 per cent compared to the December quarter 2016. The total number of loans (excluding refinancing) in WA decreased to 11,744, a decrease of 4.2 per cent over the quarter and a decrease of 2.7 per cent compared to the same time last year. The average loan size increased to $352,796, an increase of 6.8 per cent over the quarter and 0.5 per cent compared to the December quarter 2016. Rental affordability in WA remained stable during the December quarter, with the proportion of family income required to meet the median rent remaining at 16.4 per cent, the same as the previous quarter but a decrease of 1.3 percentage points compared to the year before. For more information about the WA property market, visit the WA market page. Regional WA’s overall median house price increased 2.9 per cent during the December 2017 quarter, outperforming the Perth Metro region. REIWA President Hayden Groves said eight regional centres experienced positive median house price growth, with Karratha the top performer with a 13.5 per cent improvement. “Busselton, Albany and Esperance also recorded strong price growth, lifting 9.8 per cent, 7.2 per cent and 6.3 per cent respectively. “Pleasingly, house prices improved across the board, with centres both north and south of Perth showing positive growth. Consumer sentiment in WA improved considerably in the December quarter, up 13.5 per cent which has had a positive flow on effect to the property market. West Australians are feeling more optimistic and buyer enthusiasm is returning,” Mr Groves said. Kalgoorlie/Boulder, Northam and Port Hedland were the only regions to record declines. “After recording a significant 19.5 per cent increase in median house price in the September quarter, Port Hedland’s median house price had a minor adjustment in the December quarter,” Mr Groves said. The Perth property market ended 2017 on a positive note, with December quarter data showing improvements in median prices, sales activity, listing levels and average selling days. REIWA President Hayden Groves said it boded well for Perth that all key indicators had improved over the quarter. “The Perth market found its floor and stabilised in the back half of 2017. We now appear to be entering a recovery phase, though REIWA remains cautious about expectations of rapid growth in the next 12 months,” Mr Groves said. Perth’s preliminary median house price increased 1.2 per cent to $516,000 in the December quarter 2017. “Once all sales have settled, we expect the final December quarter median to lift to $520,000, which is a notable improvement on the September quarter median of $510,000. “On an annual basis, the Perth market is very stable. We’ve observed consistent price levels between the December 2016 and 2017 quarters which is a strong signifier the market has turned a corner,” Mr Groves said. Perth’s median unit price is $405,000 for the December 2017 quarter which is a 1.3 per cent increase on the September quarter. “It’s encouraging to see Perth’s house and unit medians increase over the quarter because it suggests one sector hasn’t recovered at the expense of the other,” Mr Groves said. There were 4,946 dwelling sales in Perth in the December quarter. Mr Groves said this figure was expected to lift to 6,700 once all sales had settled, putting it significantly above the September quarter sales figure. “Traditionally, the September quarter outperforms the December quarter, but that wasn’t the case in 2017. The December quarter is on track to record 14 per cent more sales than the September quarter,” Mr Groves said. REIWA analysis shows the composition of sales shifted in the December quarter in Perth, with more transactions occurring above $700,000. “We’ve observed a surge of activity in Perth’s aspirational suburbs, with buyers recognising there is good opportunity to secure a home in these areas which might have previously been considered unattainable by many,” Mr Groves said. There were 13,088 properties for sale in Perth at the end of the December quarter. Mr Groves said this was on par with the September quarter figure and six per cent less than the December 2016 quarter figure. “There were 800 fewer listings in Perth at the end of 2017 than there was in 2016 and some 1,300 less than there were at the same time 2015. We have consistently seen stock levels decline over the last two years as the market trends towards parity,” Mr Groves said. “Declining listing levels combined with notable improvements in sales activity has helped restore net-demand. With buyer activity increasing, stock levels are being absorbed faster,” Mr Groves said. It was 10 days faster to sell in the December quarter than it was in the September quarter, with it taking on average 60 days to secure a sale. It’s been two years since it was this quick to sell in Perth. The combination of sellers’ preparedness to meet the market and buyer appetite for well-priced property has significantly shortened days-on-market,” Mr Groves said. Do I need a white ant pest inspection done when I’m buying a house? The short answer is Yes! White ants and timber pests can cause costly damage to a property and it is recommended that as a buyer you include a special condition (commonly referred to as ‘white ant condition’) in the contract to make sure that there is no damaged caused by termites or other creepy crawlies that effects the structure of the property. It is usually up to the buyer to pay for the cost of having a White Ant Report done with a professional Pest Control Company and is usually written into the Contract of Sale as a special condition. A white ant inspection in most cases is not carried out until Finance has been approved and the sale of the property can move forward to the next step prior to Settlement. Termite colonies can sometimes be located – it is possible to eliminate colonies by killing the reproductives (the queen and the king). So if you think you may have them, or your buying a house get a white ant inspection done and even have regular inspections done and save yourself any future heartache. I recommend using Total Pest Solutions and tell all my clients to use them, but your more than welcome to use whoever you like but make sure you get the report and if anything is on it, you get it treated asap. Let us know in the comments below if you have had a termite infestation or problem and how you solved the problem. Don’t let the bed bugs bite! Property in Hillarys available to rent in May 1st. ONLY! Save the date for Morning Tea on May 23rd.